Showing results for tags 'ar15'. - Brian Enos's Forums... Maku mozo! Has anyone been successful in making a ar15 gas gun work as a 9mm? What are the problems? Not enough gas? Registration will be opening this week (Thursday 7pm Central) for the 2017 ICON Carbine Match in Denver Co on June 2-4. This is going to be a match you don't want to miss. 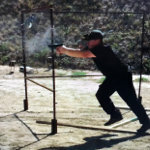 -2 day match (7 stages per day) -Rifle Caliber or Pistol Caliber Carbine -13/14 stages (depending on if a sponsor comes through) -400-ish round count -High Round Count stages -Cash Prizes in each Division and High Overall I have invited some of the countries best shooters to duke it out for the High Overall Cash Prize. REGISTRATION LINK BELOW: Cost is $230 (includes lunch) https://practiscore.com/icon-carbine-series/register I WOULD ALSO LIKE TO DEDICATE ONE OF THE STAGES TO THE LAW ENFORCEMENT COMMUNITY, PARTICULARLY THE DENVER POLICE DEPARTMENT. You guys risk your lives to protect and serve the community and we would like to repay the favor. If you have any questions or concerns please don't hesitate to contact me. I hope to see you all there. Registration will be opening this week (Thursday 7pm Central) for the 2017 ICON Carbine Match in Denver Co on June 2-4. This is going to be a match you don't want to miss. -2 day match (7 stages per day) -Rifle Caliber or Pistol Caliber Carbine -13/14 stages (depending on if a sponsor comes through) -400-ish round count -High Round Count stages -Cash Prizes in each Division and High Overall I have invited some of the countries best shooters to duke it out for the High Overall Cash Prize. REGISTRATION LINK BELOW: Cost is $230 (includes lunch https://practiscore.com/icon-carbine-series/register I WOULD ALSO LIKE TO DEDICATE ONE OF THE STAGES TO THE LAW ENFORCEMENT COMMUNITY, PARTICULARLY THE DENVER POLICE DEPARTMENT. You guys risk your lives to protect and serve the community and we would like to repay the favor. If you have any questions or concerns please don't hesitate to contact me. I hope to see you all there. Had a local match this last weekend, finished 7th out of 25, looking to shave a few more seconds. anyone see something to comment on? This coming Saturday, September 6th is the next regularly scheduled RIFLE match for the club. With the usual 5 stages including a LONG RANGE STAGE. The match starts at 3PM. This match contains 3-gun style rifle only stages. Please Pre-Register at the link listed here. https://clubs.practiscore.com/september-2014-rifle-match-phoenix-rod-and-gun-club/register Pre-Registering is very helpful as is saves me allot of time and helps me to plan for how to best run the match. The continued success of these matches depend on your cooperation with these requests. This month will begin set-up for the match after Thursday night steel is finished around 8pm. In appreciation for your assistance, you can shoot the match for free in addition to cash for gas/lunch. Please email me if you can help. Does Anybody Make This AR Barrel? 18" barrel, rifle gas, .223 Wylde chambering, 1:8 twist, no more than 2 pounds. I have found some near misses, but nothing that hits all the specs. The Spike's Lothar-Walther barrels are all of the above, except mid-length gas. The VooDoo barrels are close, but they are 1:7 twist and don't do Wylde. The Rainier SPR barrels have all the specs but are over 2.5 pounds. Am I looking for a unicorn? I am building an AR for 3 gun. My heart wants to go all out, but my wallet wants to save some money where I can. What should I splurge on and what can I save a little on. For example Billet vs Forged receivers, quality of barrels, trigger, etc. I was thinking 18" barrel, but may go with 16". How accurate is accurate enough for a 3-Gun Rifle? I just built my first AR and I am having a small problem, hope someone can point me in the right direction. The rifle functions correctly when manually cycled. When fired, the rifle cycles but the trigger is frozen. -- the bolt cycles, the case is ejected, a new round fed Manually cycle and things are fine. Remington ammo AIM Surplus lower, CMMG parts kit, Colt 20" upper, Colt stock and buffer My assumption is that the hammer is not locking back in the cocked position. But that is only an assumption. What are the merits of each of these options and which one do you feel wins? I've read that the A2 front sight post is the more "reliable" option. I've also read that if your barrel does not have the correct dimples then you don't have the "low profile gas block under free float handguard" option. Difference in barrel length for 3g. 16, 18, or 20. Is the majority of the difference between a 16", 18" and 20" barrel the weight and distance shots, or is there something more that I should consider for my 3g build?